The Mayor of London, Sadiq Khan, has launched a vehicle scoring system, which will allow drivers to see how much NOx gasses their diesel car emits under real world driving conditions. The online vehicle checker will go live in the Autumn and will rate cars from A to H, with the latter being the most polluting, based ‘on the road’ emission testing. The checker, which is being piloted in both London and Paris, will “put an end to the smoke and mirrors that have been employed in official emissions tests”, according to Khan. 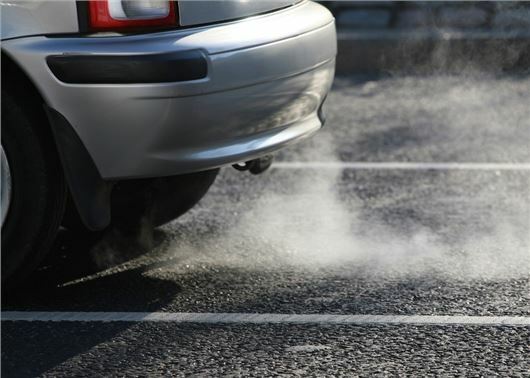 Cars and vans are currently tested for emissions under laboratory conditions, which has been exploited by some car manufacturers to artificially lower NOx emissions. From September 2017, the NEDC (New European Driving Cycle) test for new cars and vans will be replaced with the Worldwide Harmonised Light Vehicles Test Procedure (WLTP). This new test will still be lab-based, but will reportedly be more reflective of real world driving conditions. From September 2018, all new cars will have to comply with the WLTP. The launch of the online car checker in October will coincide with the introduction of the T-Charge, which will require all cars registered before 2005 to pay an e extra £10 to enter the London Congestion Zone from 23 October. Khan believes both systems will help cut the 9500 yearly deaths in the city linked to long-term exposure to air pollution. To be replaced with another version of smoke and mirrors to comply with khan's political views?